Hey all! 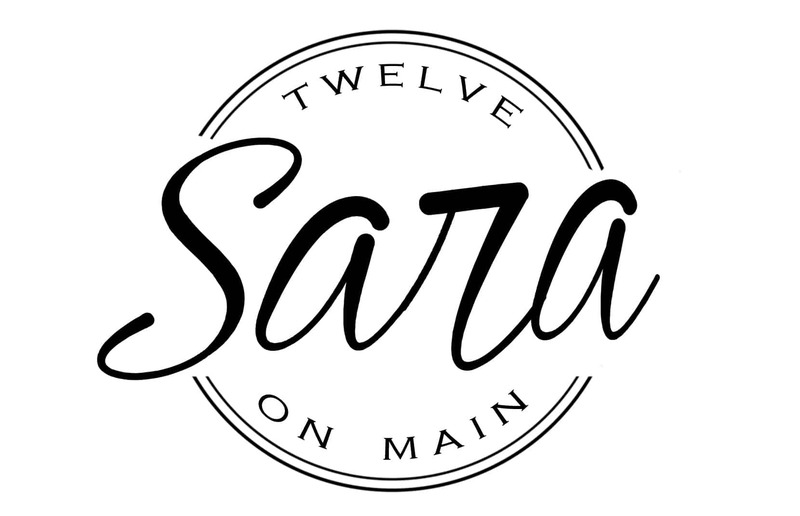 It’s Sara from Twelve On Main. I am so excited to be here this month! It has been a really crazy past few months at my home. 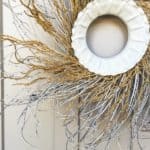 Between all the fall and Halloween projects and my One Room Challenge master bathroom remodel, I am literally taking it day by day. That doesn’t mean that I don’t stay up late into the night creating. It’s my stress relief. 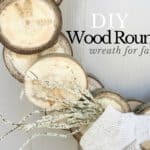 Today I wanted to show you one of my most recent late night projects, this DIY wood slice wreath for Fall. 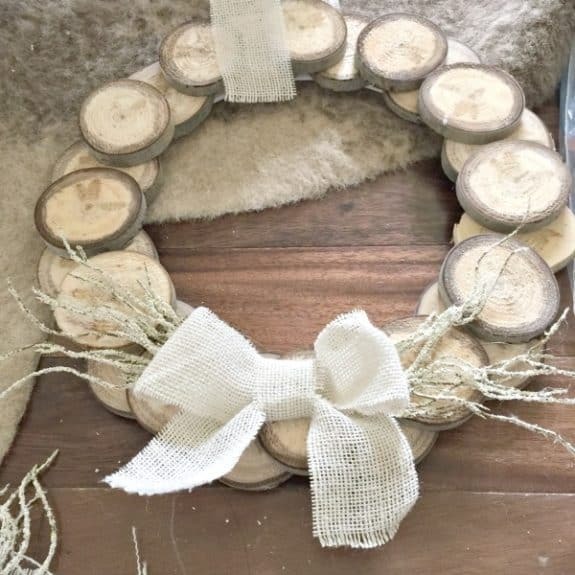 I am always looking for new wreath ideas and this one was one I have been wanting to try. 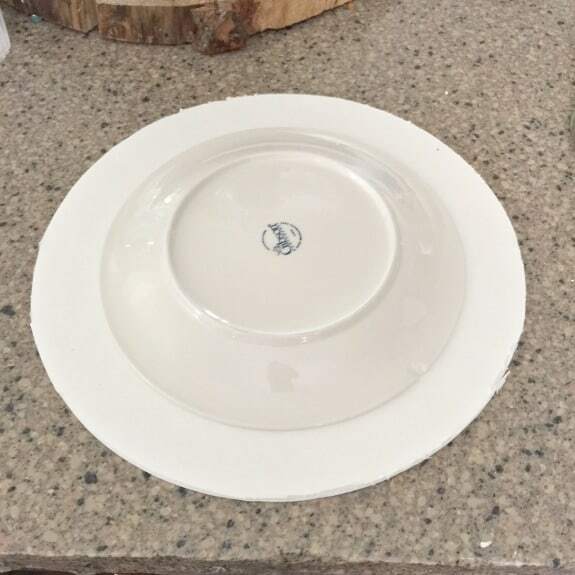 The bonus is that it was so easy to make! 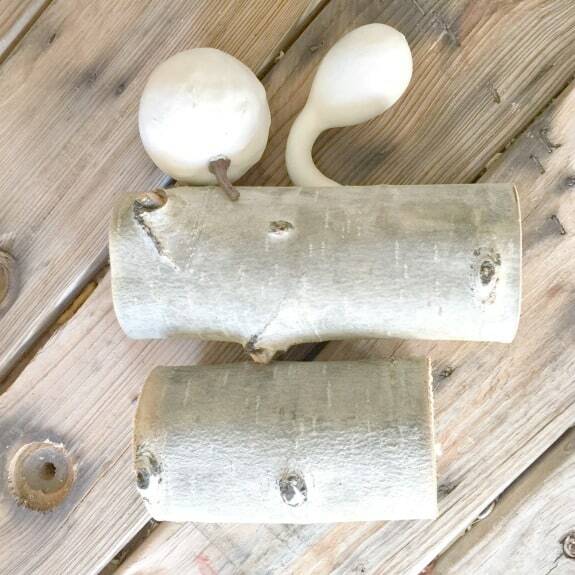 I started with some of my quaking aspen limbs that I gathered up on a family outing. 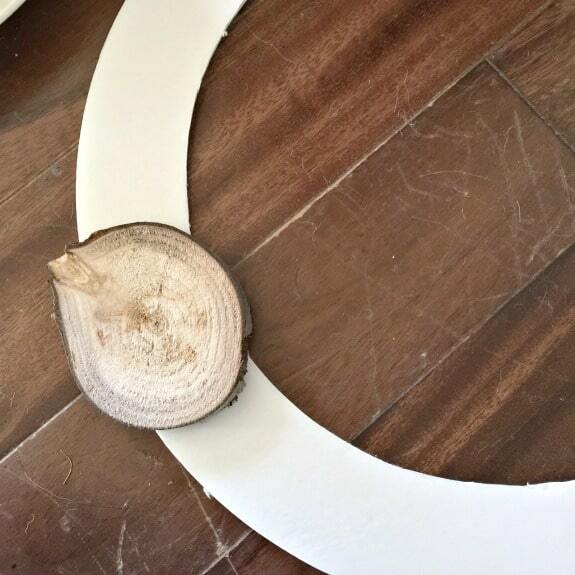 First of all, you want to create a circular base for the wood rounds to be secured to. 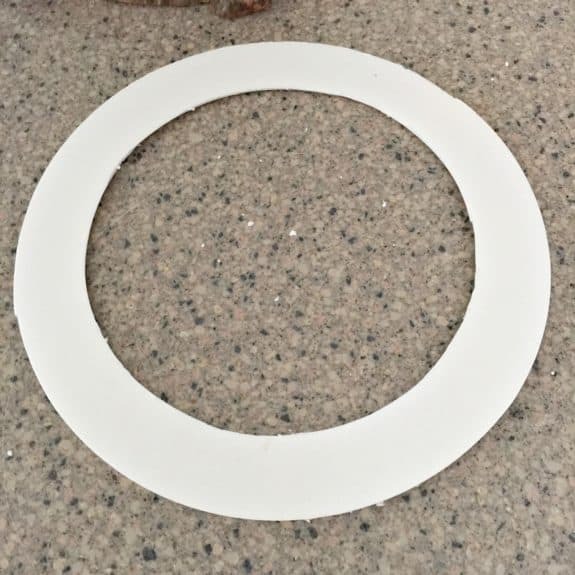 I cut mine out of foam core board, and used my Xacto knife along with a plate and a larger round plate to get the shape I wanted. 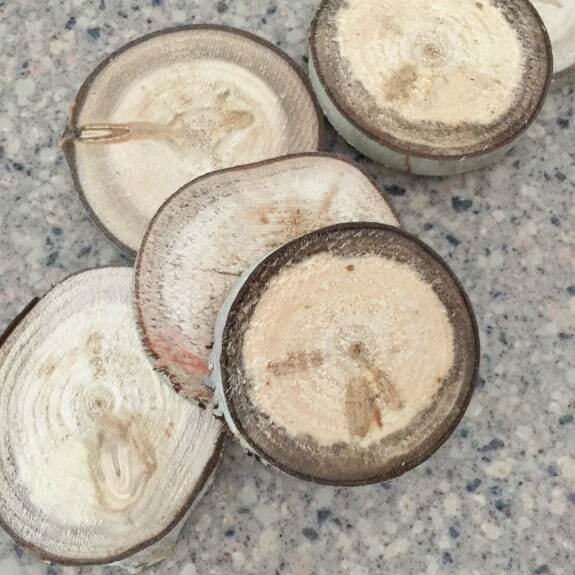 Once that is done, make sure you lay out the wood slices in the way that you want them to be. Make adjustments now, so that you don’t mess up later. 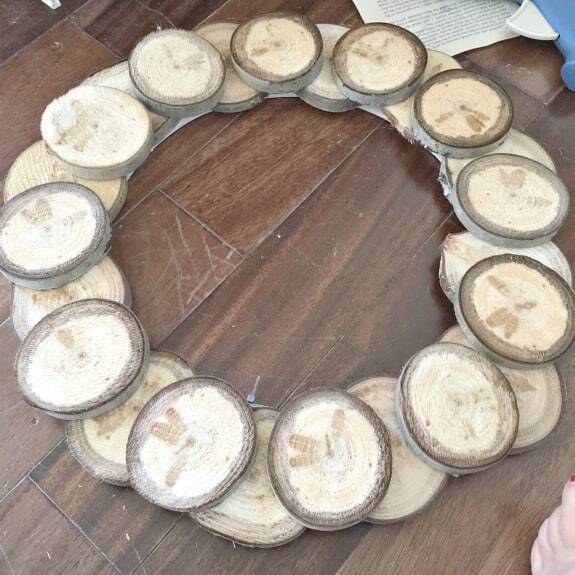 I then began hot gluing the wood first layer of wood rounds on to the wreath base. 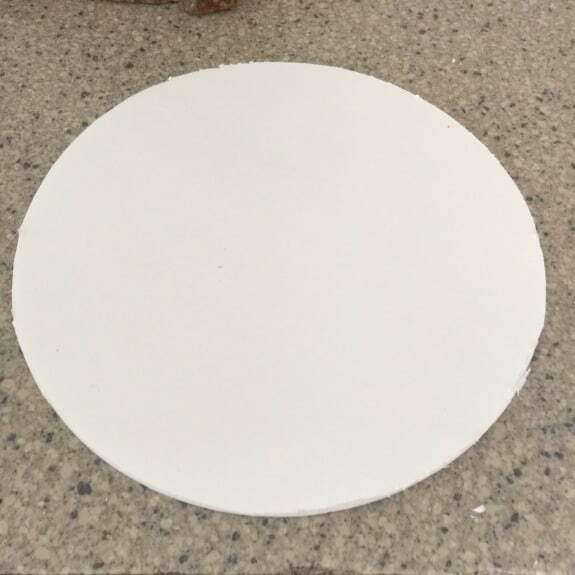 After the first layer is done, you can start applying the second layer, overlapping two of the bottom rounds. 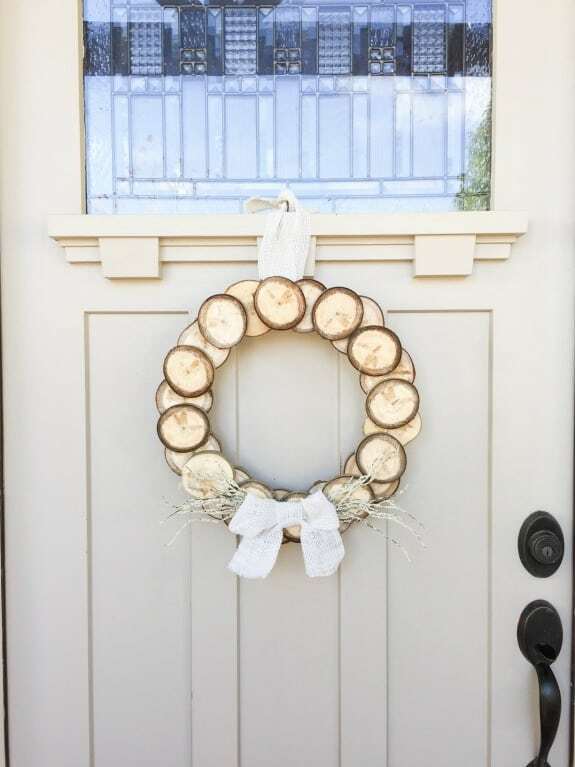 After the rounds were all secured, I added a little fall foliage to the bottom part of the wreath. 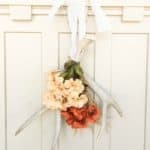 I then added a burlap bow to the top of that. 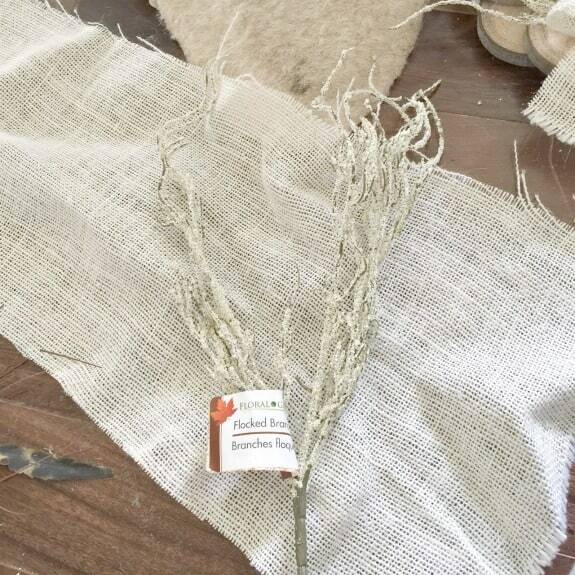 Finally, the last thing I did was apply a strip of burlap to the top, so that I could hang it. 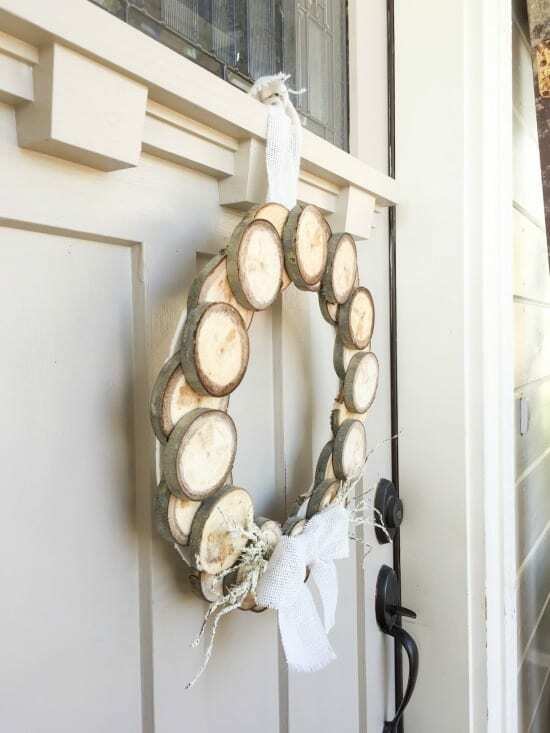 There are other fun things you could do to this wreath. 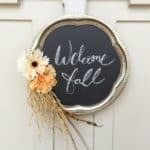 You could stencil letters onto the rounds, and spell out FALL, or GRATEFUL, or something that aligns with what you want. 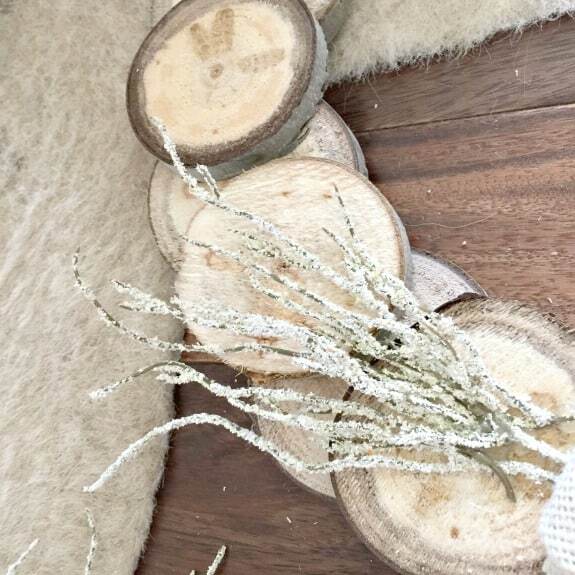 You could also add more foliage. 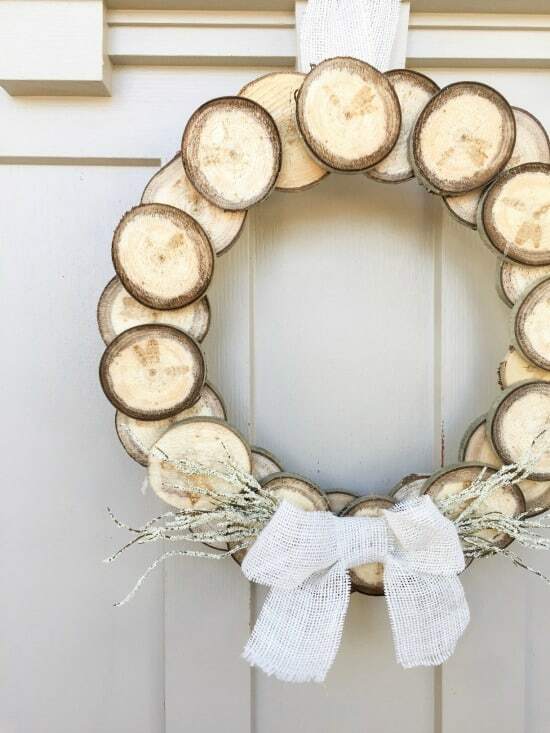 I like to keep my wreaths simple. 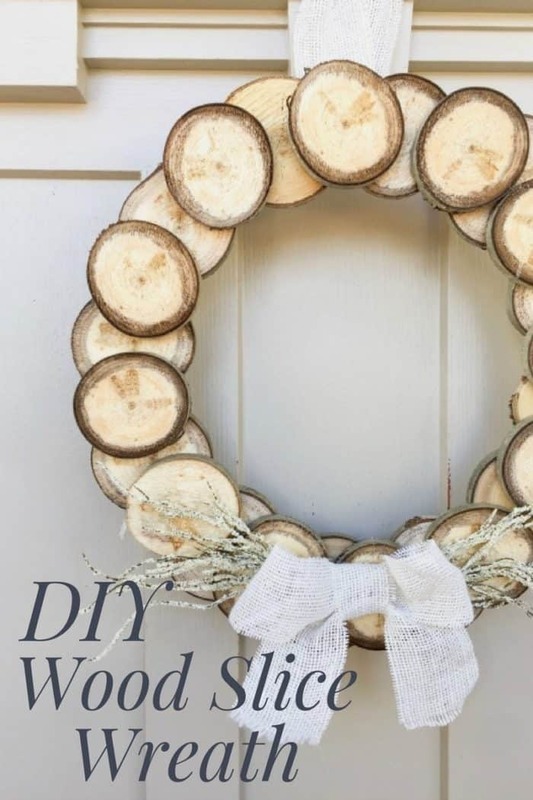 What do you think of this fun DIY wood slice wreath for fall? 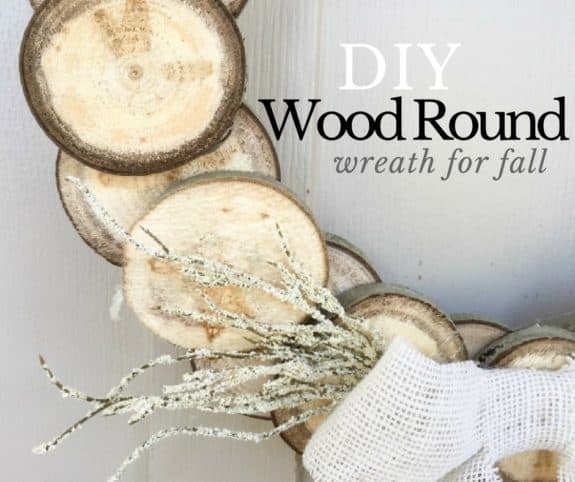 Wreaths can be one of the easiest and most inexpensive project you can do for each season. 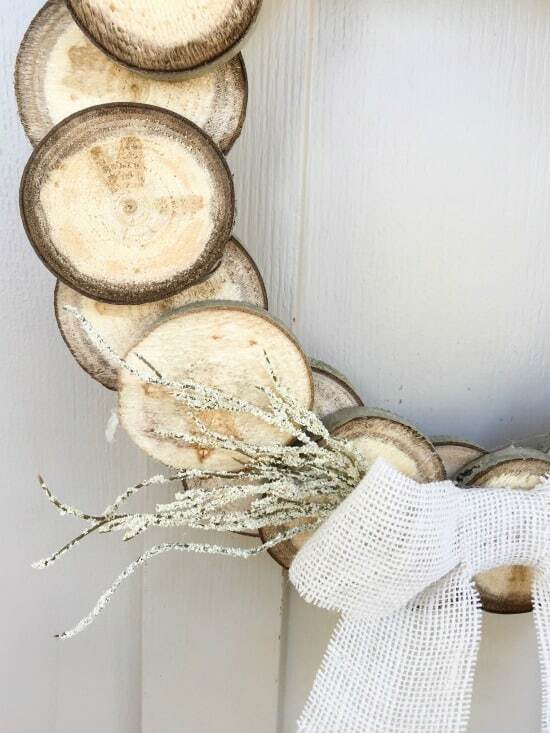 Love this totally want to make it!